You want to start a nano reef tank and have no clue where to start? 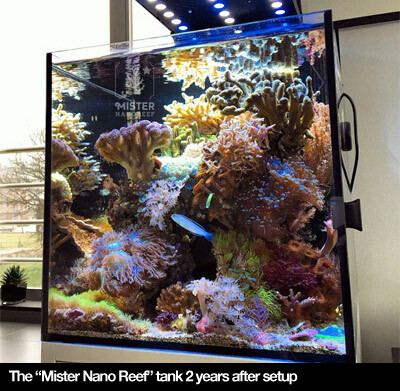 Maybe you tried a nano reef tank setup before and it didn’t work out? Or maybe you want to take it to the next level. – Your fish get sick and die. – Your corals don’t look anything like the ones in all the colorful tanks you find online. – You just don’t seem to manage to keep any corals alive. – You never seem te be able to get your water cristal clear. Do it right from the start with The Nano Reef Blueprint. If you’re interested to know more, click here. When setting up a reef tank, a lot of people rush in without taking into account a number of things what leads to disasters later. The number one priority is to get well informed first by a reliable source, so give yourself a pad on the shoulder as you are taking the time to read this, which means you are willing to put in the effort needed for succes. As setting up a succesful reef tank is basically building the foundation for the future home of your critters, it is probably the most important step to be able to maintain a succesful reef tank many years after the initial setup. On this page you are going to see me talking a lot about the setup of a reef tank, how I started out with mine and what to do and what not to do. Let me know below what brought you here, what you would like to see more of on this page and what issues you encountered if you gave it a try before… I’ll be sure to get back to you right away!